and lighter to hold than a book. If you read my blog because you have a friend or family member with a chronic illness, maybe you've wondered what makes a great gift for a person who is sick. Maybe you could get some inspiration from the wonderful gifts I've had. I've had some wonderful presents for my birthday this year. I had flowers, a phone calls from overseas, lovely cards and letters, some gorgeous shower gels I'll be able to use when the weather is warmer and my skin not so fragile, teas, coffees, low-GI potatoes (sort of an in-joke), a marble cutting board for the kitchen. I had some incredibly useful and practical gifts. One was my Kindle the kids gave me. I'm in the process of populating it with books - and, where I can, replacing my paper books for the electronic form that is lighter, easier to carry, and takes less space. It's an incredibly practical gift because my house resembles a library - about half of it is my professional library and the other half is just what I love to read. Paper books are heavy, and they take up space and gather dust. And I love them. 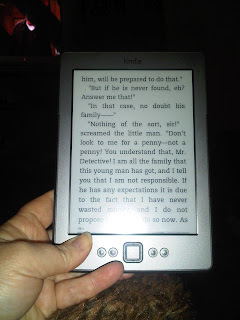 I had always said I would never give them up for an e-reader. But now, when I'm looking at how hard it is to hold a heavy book, and how easy it is to hold my Kindle, I've got to say I'm hooked. Last night I received another amazing gift. A friend of mine had been unable to come to my birthday party, and we'd planned to meet last night to have dinner and go to a concert. I had been looking forward to the concert, but only made it through dinner before I was too tired. We did, however, have a great dinner. And my friend gave me the most amazing gift. I perhaps ought to explain that my friend is a nurse. (Not just any nurse she has a PhD in nursing and is a university lecturer.) And we've been friends a couple of decades. She knows me very well, and she knows about people who are sick. 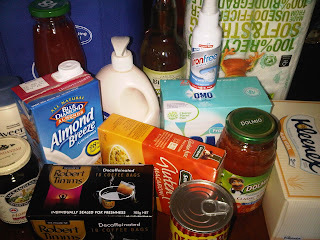 Groceries - with special treats thrown in. cash (quite a lot of it actually - just tucked in behind the chocolate where I wouldn't notice it until I was unpacking groceries - when she was no longer here). As to the question I began this post with: What does make a great gift for someone with a chronic illness? Anything that shows you care is always good. Anything that shows you know them well, and which will help make their life a little easier is amazing. 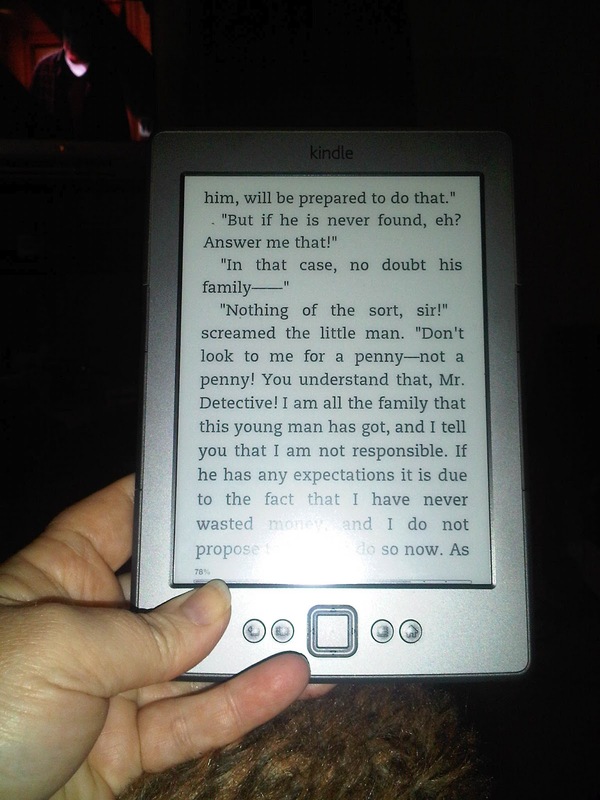 My Kindle was one of the best gifts ever, for all of the reasons you mention. It's much easier on my hands and since it's lighter I can carry it everywhere. One of the other really great gifts I've gotten is when my niece has come over to clean the cat boxes because she knows it's hard on me. It's always an unexpected and welcome gift when she stops by. Hope you're feeling better this week. I'm tapering down on prednisone and feeling every mg that is missing! I'm still feeling the loss of my prednisone - know what you'e going through. I hope you have something other way to control pain!